Svaneti – this beautiful region is one of the most populated mountainous areas in whole Caucasus and not only. It is disposed on the southern part of the Caucasus Mountain Range, where two major rivers – “Enguri” and “Tskhenistskali” begin its flow. It is not the coincidence that the highest point of the nation of Georgia is situated exactly there. The precise altitude of it is still subject of dispute. In many official sources it is said to be on 5068 above sea level, but some findings show that it is located even on higher level like 5210 m. Тhis data is provided by the photos taken from “Ialbuz” aka Mount Elbrus. On the bottom of Mt “Shkhara” the village “Ushguli” is spread. Here are also two other high glaciers of the system: “Tetnuldi” and “Ushba” . Mestia is a highland townlet in northwest Georgia, at an elevation of 1,500 metres (4,921 feet) in the Caucasus Mountains. 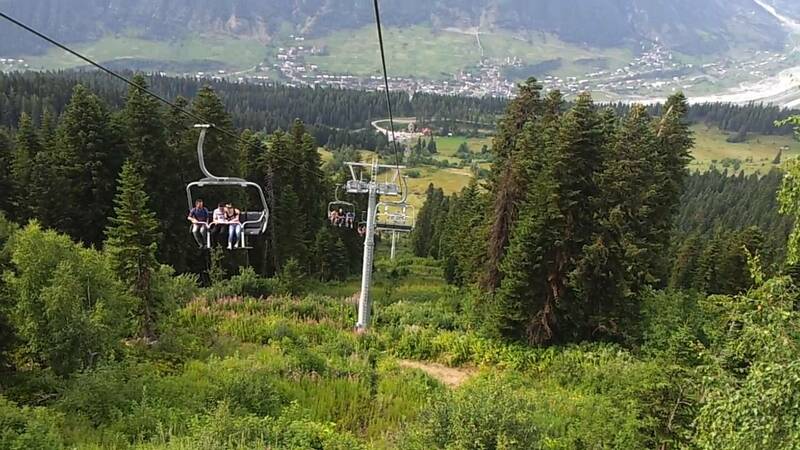 About 8 km from Mestia, you will arrive in Hatsvali, where a 1.5 kilometer long ropeway will take you to mount Zuruldi. This mountain is well known for its unique views of the white slopes of Tetnuldi and the Caucasus mountain range. Ushguli is located in the municipality of Mestia, at the bottom of mountain Shkhara, near the confluence of rivers Inguri and Shavtsqala-Kvishara. The community is comprised of 4 villages (Zhibiani, Chvibiani, Murqmeli and Chazhashi) and their height ranges from 2060 meters to 2200 meters above sea level.